Lori Hill sits in a sun-faded red, cushioned patio chair in her backyard enjoying the sun before it sets on one of Milwaukee’s first 86 degree days of the spring. Birds gather and sing as they eat from a bird feeder hung from one of the trees bordering her backyard fence. Hill’s pit bull, Nicee, leisurely trots along, crunching the grass with her every step. She and her brothers would also visit their parents’ store, “Taste of Wisconsin.” The store, located in Green Bay’s airport, sold a variety of items, from wine to Packers souvenirs. The work her parents expected her to contribute to the family business only increased as she got older. At age 16, Hill was already driving long, highway commutes with giant truckloads of furniture for one of the several businesses her parents owned. She would eventually be given the responsibility of placing the orders, as well. Lori was included in all aspects of the family’s business; her father even consulted with her during times of hardship. Though she moved out of her childhood home at 19, Hill was still entrusted with growing the family business. She graduated from high school and went on to enroll at Green Bay’s technical school. Initially, she studied marketing, a major she says her parents pushed her to pursue. She graduated with two associates degrees, one in marketing and another in retail management. When the Manitowoc branch of the family business closed down in June 2001, Lori gained the opportunity to strike out on her own. At age 33, she made the move to Milwaukee with the plan to start a family with her significant other, who she had dated long-distance for two years prior. It was Lori’s significant other that inspired her to get into the field of Human Services. But she doesn’t have any regrets. 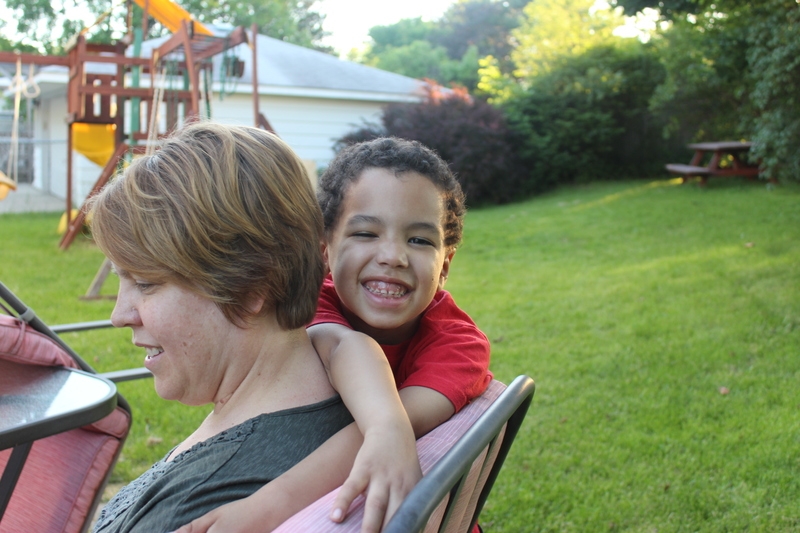 A small, curly haired boy slowly walks into the backyard and immediately finds comfort in Lori’s arms. He’s introduced as Eric, her 6-year-old son. She also has a 12-year-old daughter. Hill says she looks forward to seeing her children grow and do the things they love.